Save space by storing your bars vertically upright. This bar holder allows you to store 4 bars as well as a plethora of Free Weight Plates while only occupying a 5' x 5' floor space. Your workout area will also be safer when the bars are stored this way because they can't be tripped over or knocked off of their racks. Bars not included. 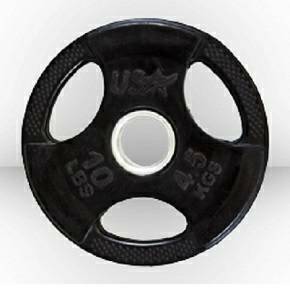 Keep weights and bars organized with Body-Solid's SWT1000 Weight Tree. 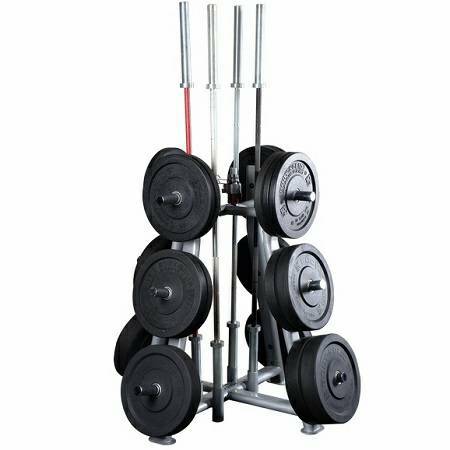 Featuring 12 chrome weight posts, four integrated Olympic bar holders and two integrated Olympic collar holders, the SWT-1000 keeps your gym or facility compact and organized. Designed to fit all sizes of plates including larger diameter bumper plates as well as Olympic bars, the SWT1000 is specifically designed to fit in any sized facility and carries a full commercial rating. W 58" X L 58" X H 53"